Makara, a 12-year-old boy, is the oldest child in the family who lives with his younger sister and brother in a small wooden house which is covered by zinc roof and is 7 km away from the school. Makara has joined the team since June 2017. ** Makara is the fake name due to the privacy and safety of individuals is respected. It has been a year since we formed the TFCF Football Team in April 2017. Now, we're happy to announce our 1st Year Anniversary. 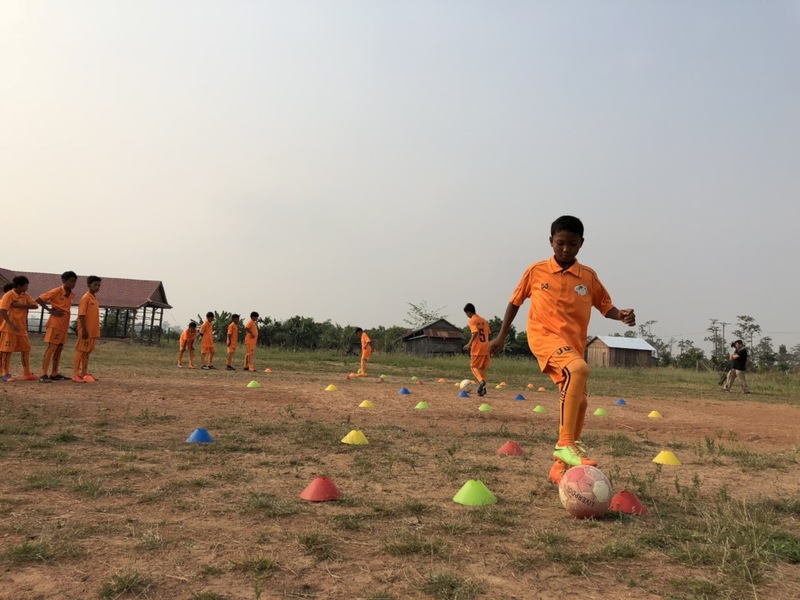 Since TFCF Cambodia has cooperated with DPC School (Organization of Development for People of Cambodia) and formed a football team at Oddar Meanchey Province, we both are happy to tell you that we have seen the significant changes to our children and stop them from dropping out of school in Cambodia. Our training time has changed to every Thursday and Friday morning from 8AM to 11AM. In additional to the basic training, the team also learned how to shoot a ball with power and accuracy. All children have to learn dribbling and passing tips and how to strike the ball properly when shooting.